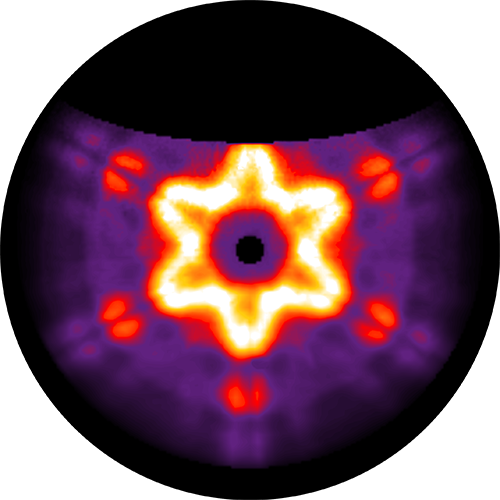 Cathodoluminescence (CL) imaging is a powerful method for studying optical phenomena at the nanoscale. The electron beam acts as a very pure local excitation source. 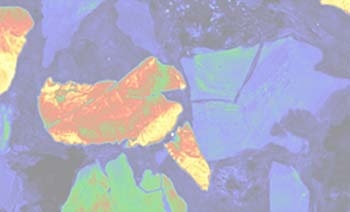 The hyperspectral light-emission maps produced with cathodoluminescence illustrate the local density of electromagnetic states, a quantity that determines how well light couples to matter and vice versa. Furthermore, the directionality and polarization of emission can rigorously be measured with angle-resolved images, thus providing yet more insight into the optical properties of nanostructures. 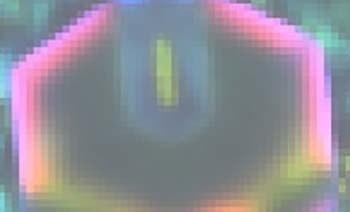 This makes the technique highly relevant to the field of nanophotonics. It is applicable to metallic as well as dielectric and semiconductor nanostructures, including nanoparticles, nanowires, metamolecules, metasurfaces, and photonic crystals. 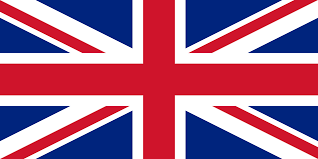 These structures find applications in (bio)sensing, fluorescence enhancement, non-linear optics, low-threshold steam generation, LED’s, solar cells, integrated photonics, lasers and much more. 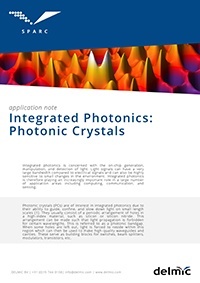 By periodically altering the refractive index of a material on the scale of the wavelength of light, a photonic crystal can be made which exhibits interesting optical properties. How light propagates through such a material can manifest itself in an angular diffraction pattern which can be measured using angle-resolved cathodoluminescence. 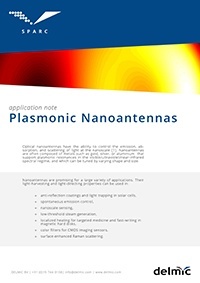 Metallic nanowires or nanoridges support a guided surface plasmon mode. At the end-facets these waves can be reflected leading to a standing-wave resonance. 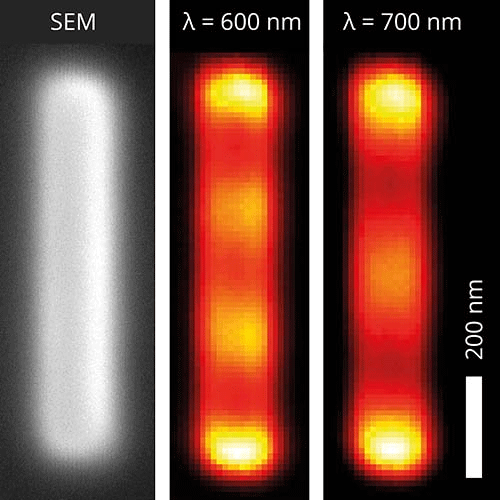 Such nanoscale resonant modes can be imaged with hyperspectral cathodoluminescence imaging. The SPARC is a cathodoluminescence detector that is designed and produced by Delmic. 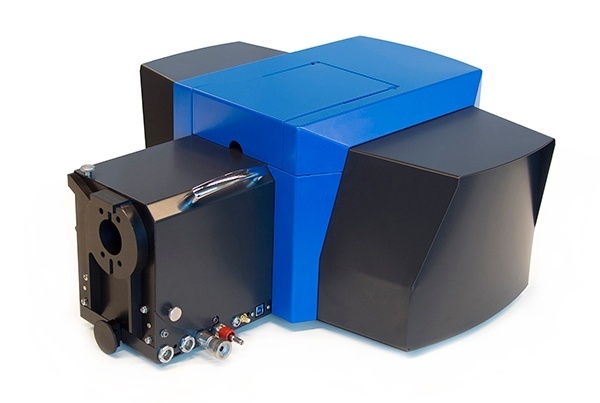 This system is an ideal solution for researchers in nanophotonics since it can be retrofitted to any scanning electron system (SEM) to produce high-performance cathodoluminescence images.